What the Heck is a Customer Service Vision? 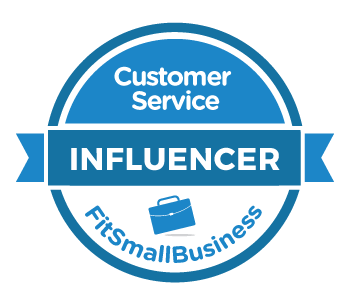 — Toister Performance Solutions, Inc.
What the Heck is a Customer Service Vision? I've written about customer service visions a lot on this blog. That's because it's the number one thing that companies need to consistently deliver outstanding customer service. My research into elite customer service organizations reveals that nearly all of these companies have one. So, what the heck is it? This post will give you a short primer on what it is, examples from leading companies, and tools you can use to create your own. Let's start with a basic definition. A customer service vision is a statement that clearly defines the type of customer service employees are expected to provide. In some companies, this is a standalone statement that's separate from other items like mission, vision, and values. In other companies, it's integrated into another statement. Take another look at the example from REI and you'll see how it fits the test. It's one clearly worded sentence. It implicitly focuses on customers. And, it's authentic because it represents who REI actually is today. The reason a customer service vision like this is so essential is that it gives every employee, from the CEO to the frontlines, a clear guide to follow. I like to refer to it as a compass that points people in the right direction. Without a compass, it's easy to get lost. Here are just a few examples from companies that are well-known for their outstanding customer service. Sell good merchandise at a reasonable profit, treat your customers like human beings and they will always come back for more. These examples are all a little different, but they all fit the three hallmarks of a strong customer service vision. Imagine working for any of these companies and you can see how easy it would be to learn the customer service vision. A customer service vision is essential if you want your company to be great at service. It can also work on a team level, if your span of control is a department and you don't think the rest of the organization is ready to get on board. You can use my step-by-step guide to help you create your own.